Come out and join The Sport Loft, Alta, Dynafit, Hoggle Zoo, the Snow Leopard Trust, and some of the local skimo racers as we climb vert to raise money for the Snow Leopard Trust. For each vertical foot climbed, Dynafit will be contributing to the Snow Leopard Trust. North America in the past has not had a great turn out for these events while Europe will have an event with 650,000′ climbed. Join us at Alta on 18 January to see how close to 650K we can climb. 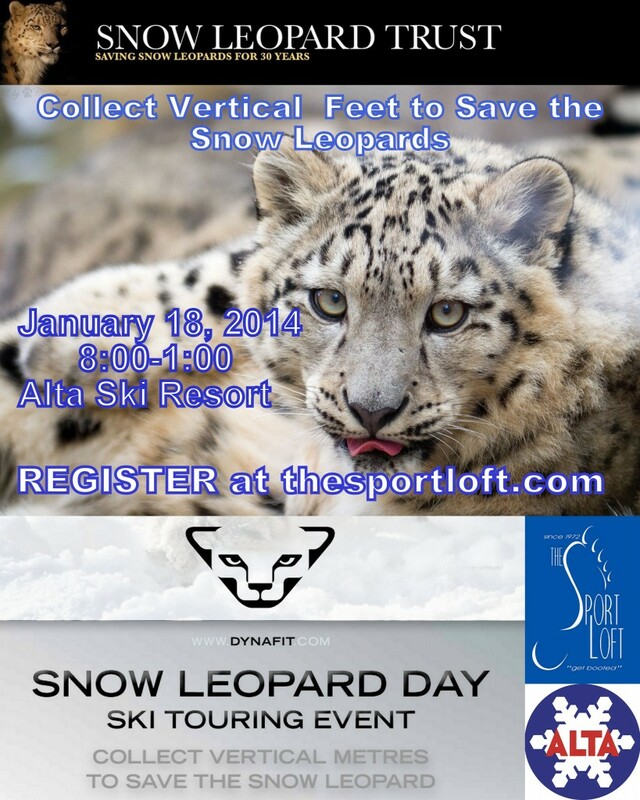 For details and to register see The Sport Loft Snow Leopard site.